Free money? Our parents used to say “money doesn't grow on trees” and “there is nothing that is free”. But is this entirely true? NO! In fact, there are several ways that you can get free money online. The first is looking for unclaimed money that might be rightfully yours, and the second is to find companies that are giving away free money as incentives. If this sounds unbelievable - it's not. 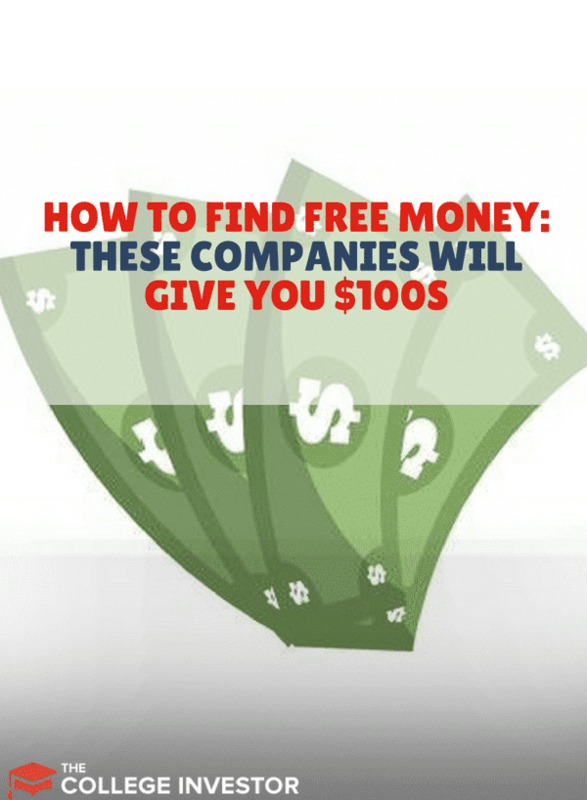 If you spend 10 minutes and go through these companies and websites, you'll find yourself amassing a nice amount of free money before you know it! Let’s break it down, and we'll start with finding unclaimed money that might rightfully be yours. According to one report, in 2015, there was 42 billion dollars in unclaimed money. State treasury - You will have to get in touch with the tax body in your state to determine what the claims process will be. Think you might have some free money sitting for you somewhere? Finding and claiming this money is not that hard to do. Two websites that will help you get started are Missingmoney.com and Unclaimed.org. On MissingMoney.com, you can enter your first and last name and resident state to find out if there is any money due you. Don’t worry if you have moved states multiple times. You can enter information for the state you currently live in and the database will scan all archived records and approximately how much is due to you, which company owes you the money and in which state that money is owed. You will not have to worry about entering your social security number unless you find some unclaimed money in your name and you have to verify your identity. MissingMoney covers approximately 38 states. Unclaimed.org covers records of unclaimed money records from all 50 states, all the provinces in Canada, the US Virgin Islands, Puerto Rico and Kenya. On Unclaimed, you simply will select a state from the interactive map on the first page of the website. This will lead you to state/province-specific websites where you can search and put in claims for any money you might find may be owed to you. Interestingly, there is free money in unclaimed pensions as well! If you or an older friend or relative worked with a company that closed down/went out of business but had participated in their pension plan, there might be unclaimed money waiting for you. For this, a person would have to visit the Pension Benefit Guaranty Corporation - a US government organization - to claim the money. Apart from finding money that is owed to you via the above-mentioned websites, there are several companies out there that are happy to give you free money in exchange for your business. Many of these free money deals are promos to get you to take action with a company. Some of these deals allow you to do them over and over again - so think about how you can maximize your free money! If you have student loans, one of the best ways to save money is to refinance and get a lower interest rate on your loan. Lowering your interest rate by 1% could save you thousands! But beyond that, simply refinancing through Credible can give you up to a $1,000 bonus! We love Credible, and you can read our full Credible review here. 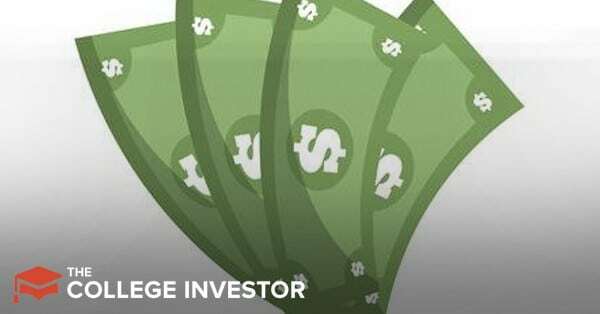 But College Investor readers can get the special bonus of up to $1,000 when they refinance through this link. TD Ameritrade is one of our favorite brokers because they offer a ton of free tools, great commission free ETFs, and have incredibly low fees. Furthermore, they're currently running a promotion that will give you up to $600 if you fund an account with at least $25,000. Check out TD Ameritrade's bonus offers here. Make sure you read the terms before you apply. Ebates is a cash back rebate site where you can earn cash back bonuses simply for doing your online shopping and clicking through Ebates link. I love Ebates, and earn about $100/mo in rebates simply by going through their website before I do any online shopping. You can earn a $10 signup bonus when you make your first purchase through our referral link here. Ibotta is an online grocery money saving app that will give you a bonus for signing up. Right now you can earn a $10 bonus, plus $5 for each friend you refer. You can read our full Ibotta app review here, and check out this link to claim your $10 signup bonus. Swagbucks is an online survey and rewards site that will give you $5 just for signing up. Once you’re signed up, you can earn even more by searching the internet or taking surveys. It’s an easy way to earn. It's one of the easiest ways to earn, and while the dollar value may seem low - it's still free money. Sign up and get your $5 signup bonus and more! Inbox Dollars is very similar to Swagbucks, in that you can get a $5 signup bonus just for opting in. Once you're signed up, you can earn even more money by taking surveys, doing email promotions, and more. It's a very easy way to earn a little extra money. You can read our full Inbox Dollars review here, and signup here. Stockpile is one of our favorite new brokers because they allow you to buy fractional shares in many companies for as little as $5. They also make investing fun and easy, especially for children. They are currently doing a signup promo for new customers where you can get $5 in free stock just for signing up. Check out the bonus offer here. Several credit card companies will give you extra money for signing up and using a certain amount on your card in a specified amount of time. On top of the cash rewards, you can get paid between 1-3% cash back on your purchases with your credit card. If fact, if you are going to get a credit card, you might as well do your research and get one with both incentives. It is time to stop leaking money. $42 billion in unclaimed money is a lot of money. For most the the options we listed above, it takes very little time and effort to earn free money that is rightly due you. Did you try any of the methods above to find some extra money? Did you find any money that was due you?